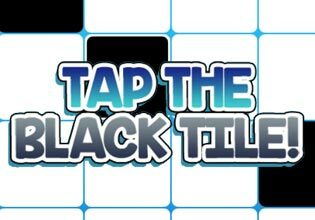 Tap The Black Tile is a skill game that manages to combine fast paced action with a cool musical background. As in other music games like Rock Band or Guitar Hero you have to tap the black tiles as they appear to play a world-famous melody. Some tiles can be tapped more than once while others are only there for a few seconds. Play fast but also play well because playing a single wrong note will end your game. So watch out and don't tap the white tiles!Play Tap The Black Tile now for free and enjoy this addictive skill game!